Villarreal coach Marcelino is in pole position to succeed Vicente del Bosque as new coach of the Spanish National Football team after Euro 2016, reports claim. According to Madrid-based newspaper Marca, the Spanish Football Federation have given up in trying to convince Vicente del Bosque to continue as the manager of La Roja after numerous attempts. The 65-year old has seen numerous successes in his eight years as coach of the team winning a world cup and two European Championships but his era will come to an end after the Euros. 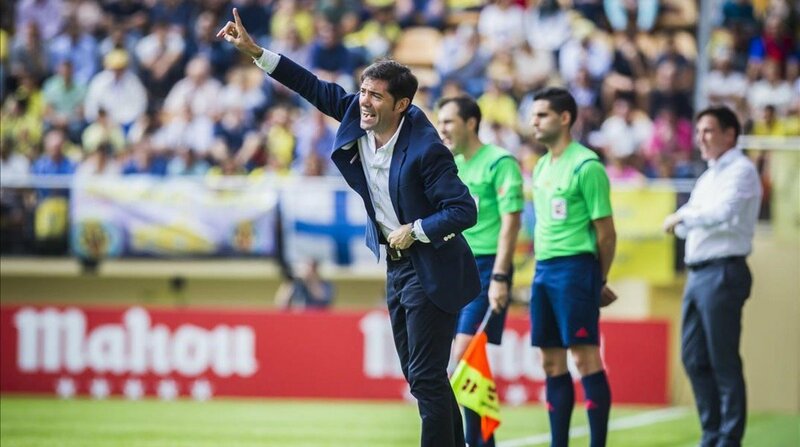 Marca also state that numerous coaches have been linked with the job including Rayo Vallecano’s Charismatic coach Paco Jemez and Sevilla’s Unai Emery, however, Marcelino is favourite to seal the post after a successful campaign with Villarreal that saw the 50-year old help them secure a place in next year’s Champions League tournament. Villarreal are reluctant to let their man go but a call from the national team might provoke a change of decision and might mean Marcelino will end his 3-year stint at El Madrigal.